Materials must be packaged in sturdy, non-leaking containers no larger than 5 gallons. Containers can be placed into boxes lined with plastic garbage bags. Five gallon plastic buckets are available at most hardware stores and make good transporting containers. Watch this video on how to prepare a box for transport to our HHW Collection Facility. 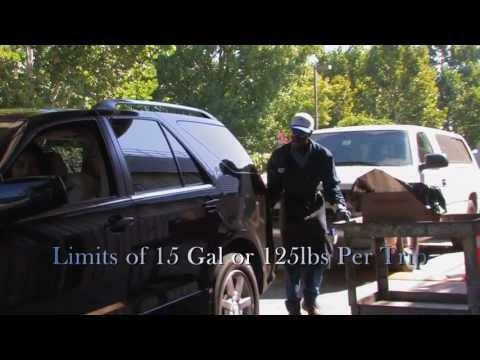 NOTE: State regulations limit the transportation of household hazardous waste to 15 gallons or 125 pounds per vehicle per visit. Individual containers are limited to a 5-gallon capacity. There are no limitations on the number of visits per day.